Just needed to write this before we share today’s recipe: Damn! (or Holy F**k!, as TK probably would put it). We asked for some travel tips but never expected that you would be so incredibly helpful. We will compile all your recommendations into a document and it is going to be the perfect travel guide for us. Huge, huge thank you! After having read your comments we are now leaning towards dividing our time between Sydney and Melbourne. And do a month in NZ in between. We will keep you updated regarding our workshops as soon as we have more info. 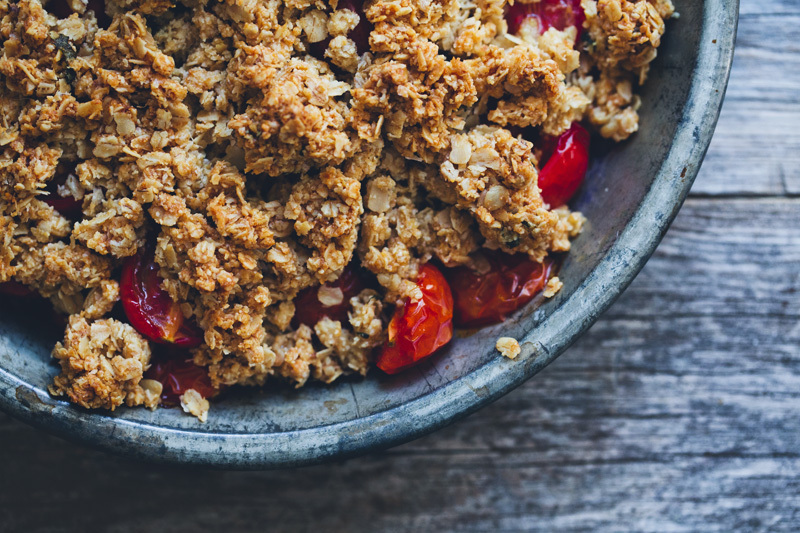 If you’ve been cooking with us this summer, you probably know that we love crumbles. 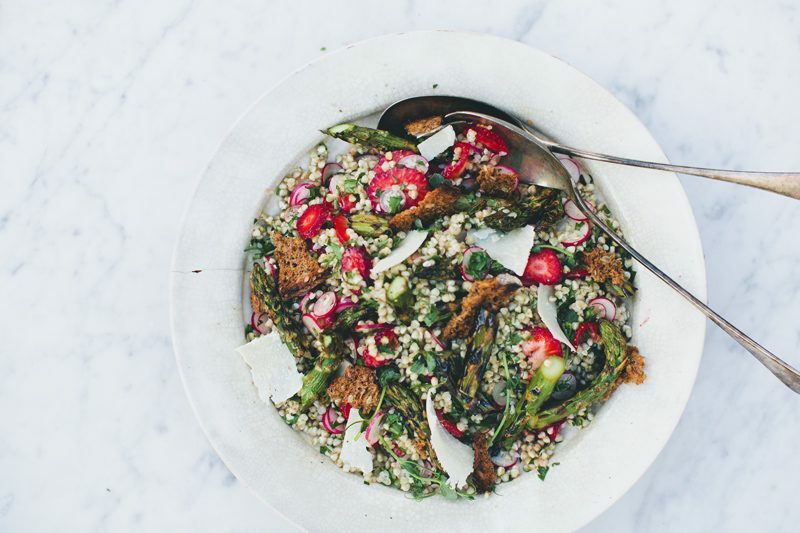 They are imprecise and easy improvised – try quinoa flakes instead of oats, coconut oil instead of butter, a little less of this or a little more of that. Instead of doing yet another sweet crumble, this a savoury version. 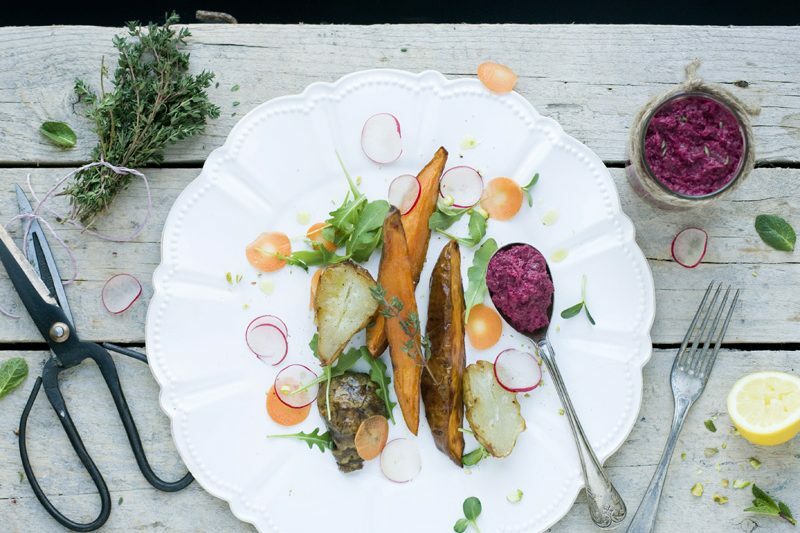 It’s a nice little autumn dinner that we recommend making with some heirloom tomatoes or flavourful cherry tomatoes. 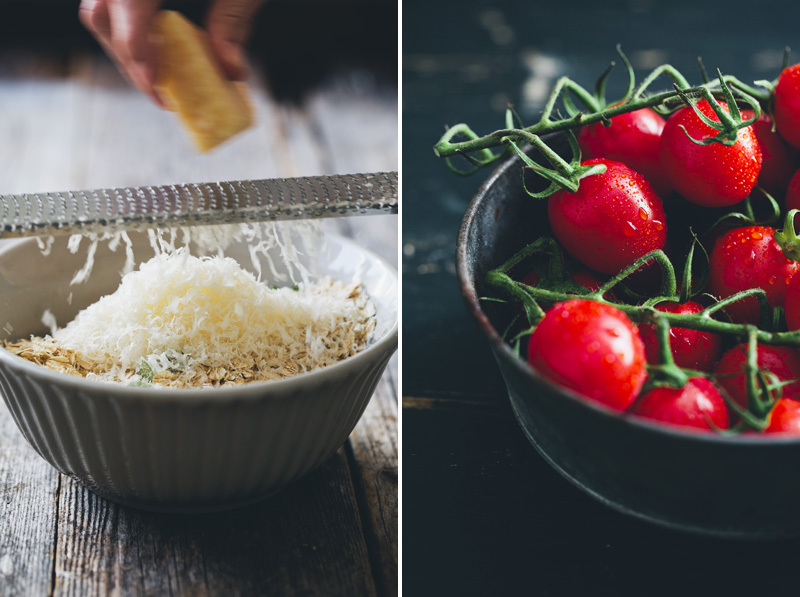 The sweet tanginess from the tomatoes goes perfectly with the rich and crunchy parmesan and oat topping. If you can’t find any good tomatoes, I imagine that diced eggplant/aubergine and zucchini would be great as well. Serve with a simple bean salad for some extra protein. You can read our thoughts on the use of rennet in cheese at the bottom of this post. Preheat the oven to 175°C / 350°F. Grease a 22 cm / 9 inch baking dish or pie tin with butter (or coconut oil). Rinse the tomatoes and cut in halves. Place in a baking dish and toss with sea salt and apple cider vinegar. Prepare the crumble in a separate bowl. Start by thoroughly mixing oats, almond meal/flour, grated parmesan, oregano and sea salt. Cut the butter into smaller pieces and add to the oat mixture. Use your hands to mix until large crumbs are formed. Pour the crumble filling evenly over the tomatoes. Bake in the oven for 40 minutes until the tomato juices are bubbling around the edges and the crumble is firm and browned. We served it with lettuce, pear and chickpeas on the side. Vegetarian Pho by Kelsey from Happyolks. 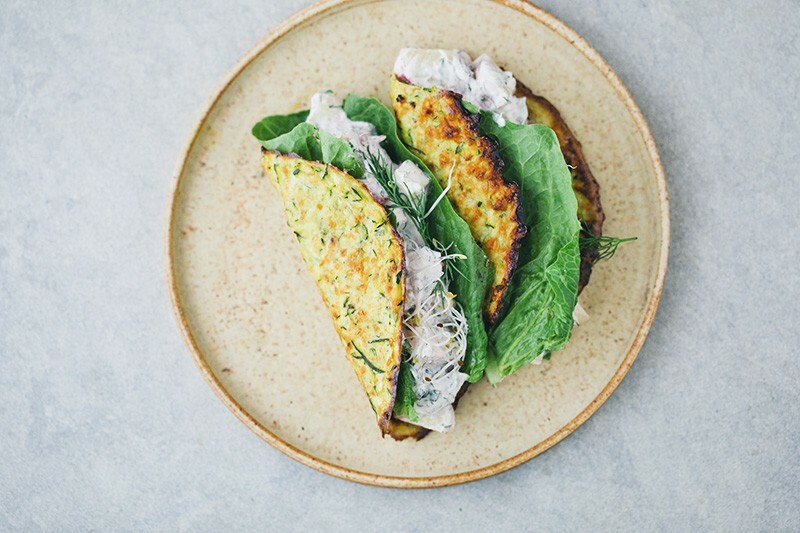 Crispy Eggplant Polenta Bites with Honey + Lime by Laura from The First Mess. No Noodle Pad Thai by Anya from Golubka. Lemongrass & Coconut Summer Rolls by Sara from Sprouted Kitchen. Halloumi Veggie Burgers by Brian from A Thought for Food. Ribollita (Tuscan Vegetable Stew) by A Couple Cooks. No Noodle Pad Thai by Kathryne from Cookie+Kate. Here are a few other press clips about the book: Red Online, British Vogue, Marie Claire & Epicurious. If you already have our book we’d be super grateful if you wanted to write a short review of it on Amazon. Thank you, Thank you! Next week I think it’s time to share the recipe for these. I picked up a couple baskets of sweet end of summer cherry tomatoes and can hardly wait to try this tomorrow night. I love crumbles of all kinds but never thought to do a savoury one. YUMMY. Once I get the book and try a couple things I will most definitely post a comment. I just know I am going to love this book. Thinking of my travels in New Zealand brings up very good memories, loved it there. Happy travelling! I forgot to mention the whole Brunswick area. Similar to Fitzroy, but more under development. Yum yum yum tomatoes are so versatile! Do you know what I love since you started your YouTube channel? When I read your posts, I can hear your voice in my head, it's lovely :) For the record, Western Australia is absolutely beautiful... Slightly biased as that is my neck of the woods, but honestly we have the best beaches - you really wouldn't regret popping over! I am gasping at this crumble. Love the savory take, and I may have fun experimenting with quinoa flakes instead of oats, as you suggest. Can't wait to make this!! So glad you have decided to divide your time between Melb and Syd! I am from Sydney, but think both cities pretty amazing. Just a tip on Auckland, NZ. If you want to try some great veg food - head to Revive café in Auckland city. The owner also has put out some great cookbooks. Just google the name and you'll find the website. I really love the cookbooks and they seem very popular in NZ. I love this idea! 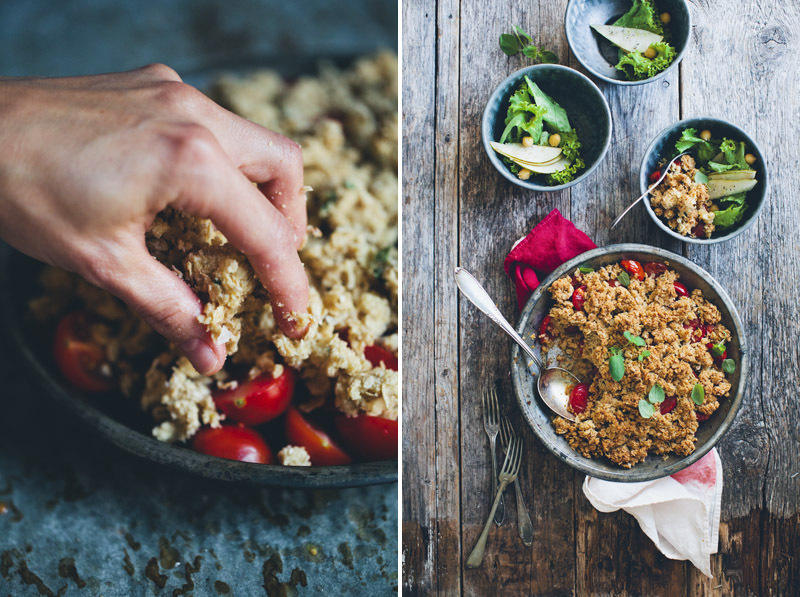 I love crumbles, and a dinner version is perfect. Have a great time in Aus! I just got back from a week up in the mountains outside of Melbourne -- and have spent a few weeks in Melbourne in the past. I absolutely love that part of the world. Farm country! Amazing produce. Amazing restaurants-- even little roadside cafes have incredible produce and great veg options! 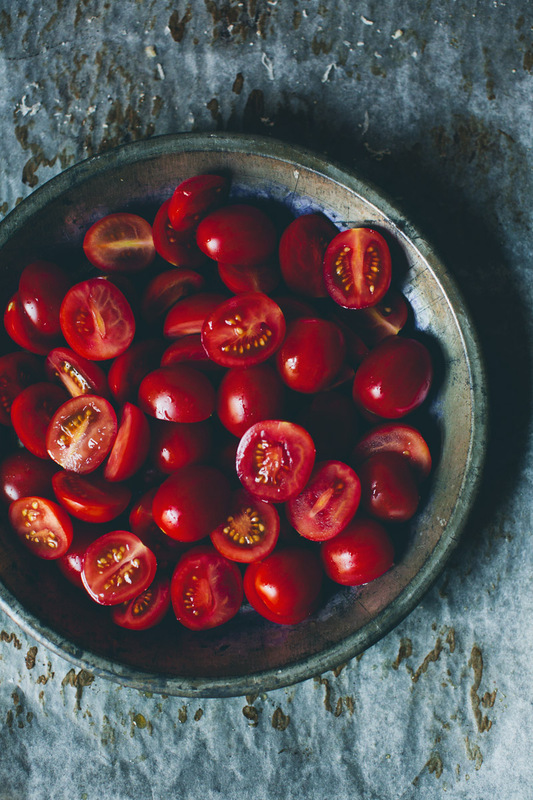 You guys are so inspiring, and this recipe is amazing…I'm Italian, and in my family we eat a lot of cherry tomatoes and parmesan cheese…it will be a good way to push my lover to eat more vegetarian dishes! this IS NOT a vegetarian meal. Actually, it is. Vegetarians simply do not eat meat or any kind of animal flesh, so cheese is vegetarian. It is not, however vegan -- vegans don't eat any animal products. 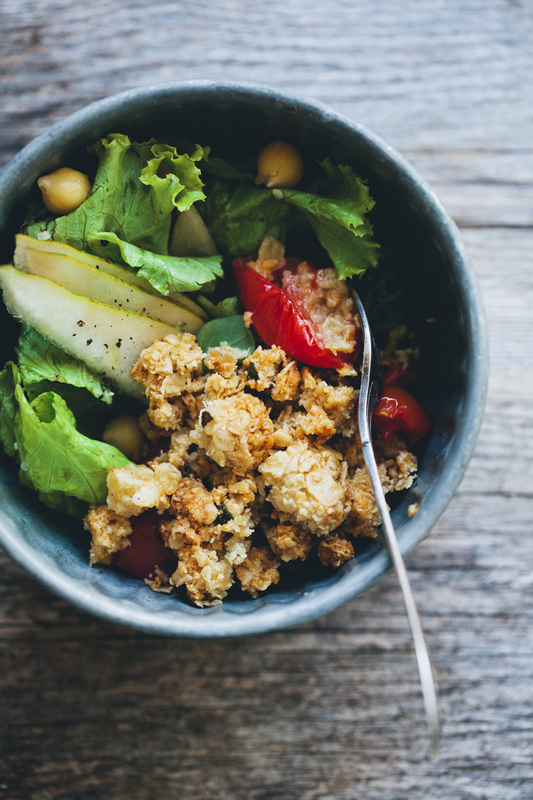 There are also different kinds of vegetarianism with more or less restricted diets, such as pescetarianism (fish-eating), lacto-vegetarianism (eat dairy but no eggs) and ovo-vegetarianism (eat eggs but no dairy). This recipe sounds perfect for me :) And as I expect in todays veggie box as well tomatoes as lettuce and pears it is very likely that I will try it out veeeeery soon. Thanks a lot for sharing. And have a great time down under! I've made tomato cobbler a few times, but haven't tried CRUMBLE!!! Yum! This looks so good! I want to make it this weekend! What a beauty! I love the thought of a tomato crumble. Ever since I discovered tomato pie, I've been drawn to new and interesting ways to prepare tomatoes. This looks awesome! This is something I know I'll love. 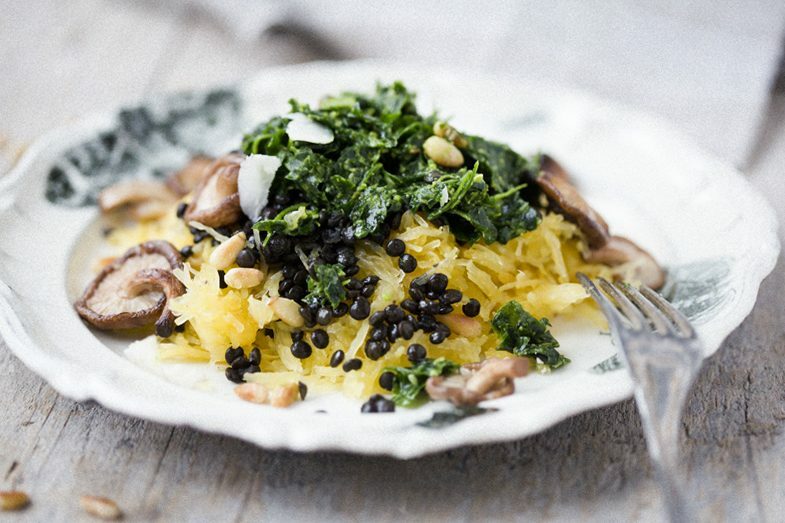 Simply in love this recipe. What an interesting idea! I've never thought of this before. I'll be sure to try it, because this looks delicious!